This stunning fossil depicts the setting winter sun. 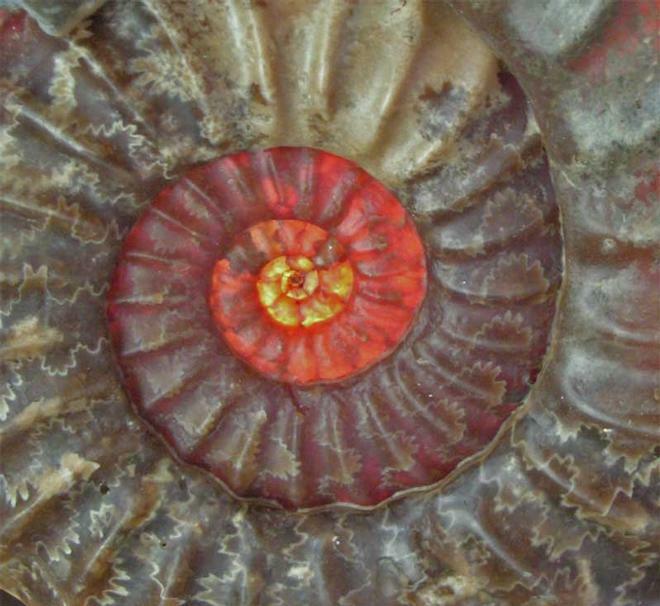 When a light source is placed at the rear of the ammonite the shell glows a deep brown with red tones. 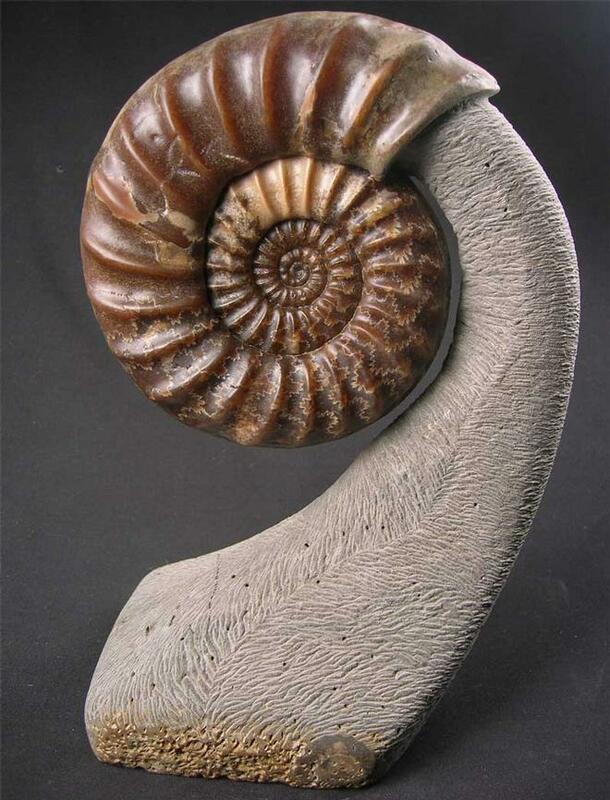 The ammonite has been developed out both sides and an arc of matrix runs from the shell's apperture down to a sturdy base for ease of display. 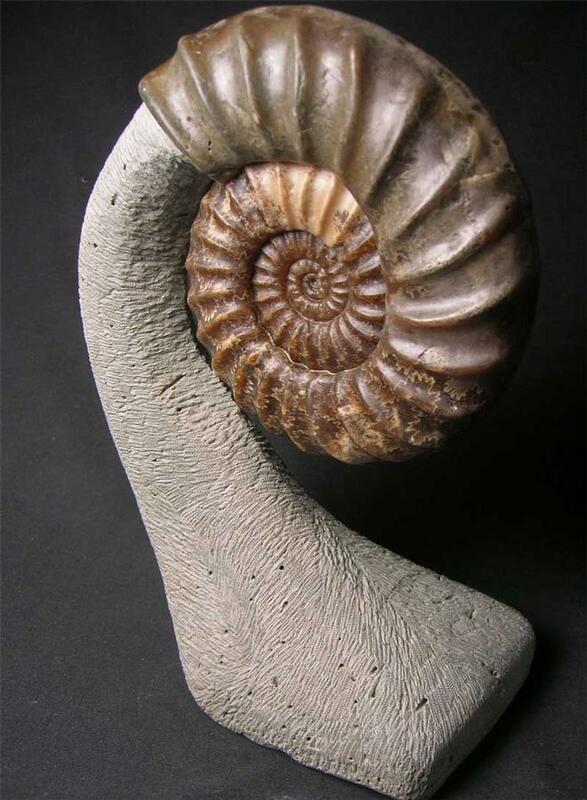 Ammonites prepared in this way are highly sought after by collectors and interior designers alike. Many hours of preparation has gone into this concept fossil. 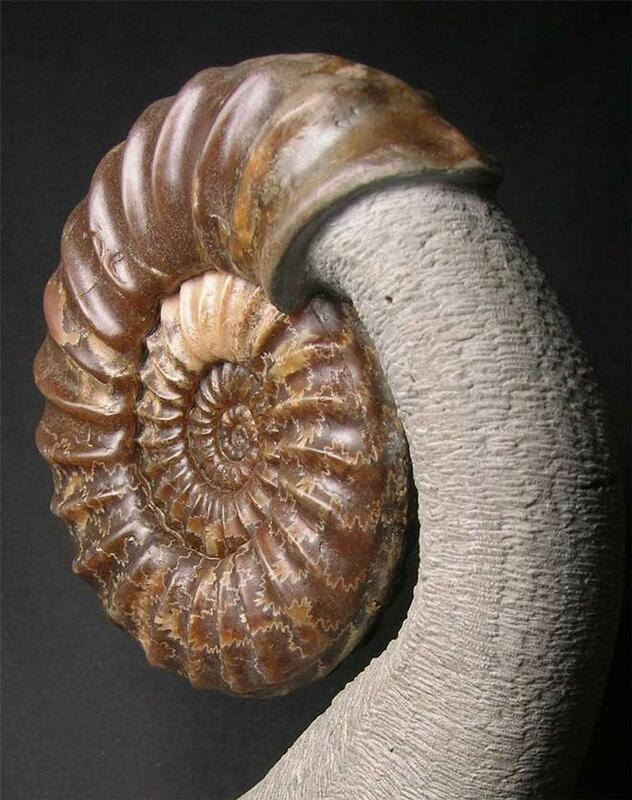 This particular type of ammonite from this world famous locality is becoming very scarse to find thesedays. A truly wonderful fossil. Approximately 200 million years old.